Below is an excerpt from my new book, The Apostles' Creed: Discovering Authentic Christianity in an Age of Counterfeits. I will be doing a book signing at the LifeWay Christian store on the campus of The Southern Baptist Theological Seminary on Thursday, March 28 from 11:30-1:00. It began as an assignment. It ended as a milestone in my Christian life. My church history professor assigned the class to memorize the Apostles’ Creed. Obediently, I began to memorize this historic affirmation of the Christian faith word by word, phrase by phrase, truth by truth. Within a few hours I had committed the Apostles’ Creed to memory, ready when called upon in class to recite it. But even at that time I knew that something else had happened. As a young man I realized that this ancient confession of faith is Christianity. This is what Christians believe—what all Christians believe. The Apostles’ Creed collapses time and space, uniting all true believers in the one, holy, and apostolic faith. This creed is a summary of what the Bible teaches, a narrative of God’s redemptive love, and a concise statement of basic Christianity. All Christians believe more than is contained in the Apostles’ Creed, but none can believe less. Ancient Christians honored this creed. Martyrs recited this creed. The Protestant Reformers continued the use of the Apostles’ Creed in worship and the teaching of believers. There is such power in knowing that when we confess the Apostles’ Creed, alone or in corporate worship, we are declaring the truth of the Christian faith with the very words that gave early Christians hope, sent martyrs confidently to their deaths, and have instructed Christ’s church throughout the centuries. It was the most important class assignment I ever had. I believe. These two words are among the most explosive words any human can utter. They open the door to eternal life and are the foundation of the Christian faith. Belief stands as the very center of Christian faithfulness and is where Christianity begins for the Christian. We enter the faith and find eternal life in Christ by responding to the truth with trust—that is, with belief. But Christianity is not belief in belief. It is belief in a propositional truth: that Jesus is the Christ, the Son of God, and savior of sinners. We do not believe in a Christ of our imagination but in the Christ of Scripture—the Christ believed in by every generation of true Christians. Furthermore, beyond belief in Christ stands belief in everything Jesus taught his disciples. Matthew recorded that Jesus instructed his disciples to teach others to observe all that he had commanded them (Matt. 28:18–20). Therefore, there is no Christianity without belief, without teaching, and without obedience to Christ. But where do we turn in order to know how to believe and what to believe? We turn first, of course, to the Bible, the very Word of God. The Bible is our only sufficient source and unerring rule of faith, and the Christian reflex to turn to the Bible is always right. The Bible is without error, totally trustworthy and true. It is the verbally inspired Word of God. Nothing can be added to it or taken from it. When we read the New Testament, we find the faith handed down from Christ to the apostles, those who were taught by Christ himself. Any form of belief that does not agree with the teaching of Christ to the apostles is false—a religion that cannot save. The New Testament refers to authentic Christianity as “the faith that was once for all delivered to the saints” (Jude 3). Real Christianity is Christianity resting on truth—a faith of definite beliefs cherished by believers throughout the ages and once for all given to the church. This is one of the great wonders of Christianity and explains why all true Christians hold to the same essential beliefs and have done so for two thousand years: as Christians, we believe what the apostles believed. And we want to hand that same faith to the next generation. Further, we want to worship like the apostles and preach and teach like them. 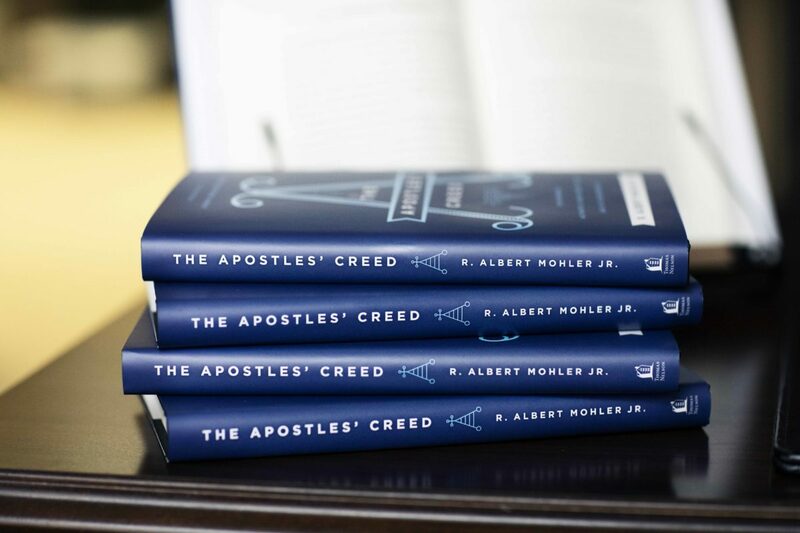 To do so, we turn first to the Bible, but we also turn to the historic and faithful summaries of the Christian faith, the most honored, historic, and universal of which is the Apostles’ Creed. From its earliest beginnings the church has faced the dual challenge of affirming the truth and confronting error. Over the centuries, the church has turned to a series of creeds and confessions of faith in order to define and defend true Christianity. The confession of faith we know as the Apostles’ Creed is one of the most important of these confessions. For long, unbroken centuries it has stood as one of the most crucial teaching instruments of the Christian faith—along with the Ten Commandments and the Lord’s Prayer. To read more, purchase your copy of The Apostles' Creed at Amazon, Barnes and Noble, or ChristianBook.com.